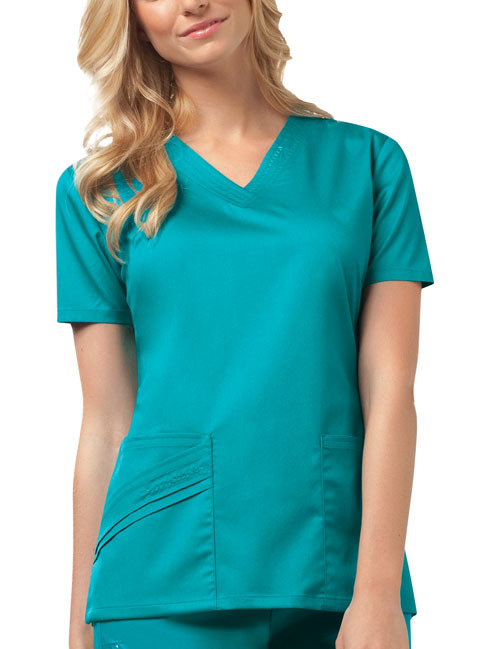 A Modern Classic fit V-neck top features tonal zigzag stitching detail on the left neckband, two patch pockets, and an additional angled pocket with pin-tucks and tonal zigzag stitching. Back darts and side vents complete this picture. Center back length: 26".